TaxiLimoChania – Chania Taxi Transfers, Heraklion Airport Taxi Transfers, Private taxi tours in Chania, Crete. 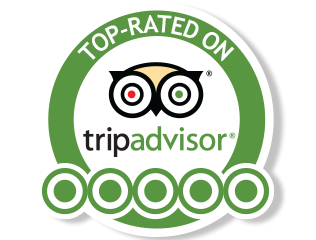 We are rated excellent in Tripadvisor. Can’t find a price for what you are looking for? Please contact us for any kind of transfer. Safe ride for your kids. We reply in few minutes. Book your Chania Taxi Transfer in advance and skip the queues at the airport. TaxiLimoChania.gr has been created by a team of local taxi owners with more than 16 years experience in private Chania Taxi Transfer services. If you need quality Chania taxi transfer to anywhere in Crete, we are here to offer our Chania taxi transfer services for the best value-for-money Chania taxi transfer prices you can get. Your local taxi driver will be waiting for You outside the Arrival’s of Chania Airport or Heraklion Airport lounge holding a nameboard displaying your name. The payment may be made in cash upon arriving your destination. You will receive all the necessary information for your taxi transfer at your e-mail in less than an hour. Our reliable taxi sedan Mercedes E – Class goes far beyond the norm. We transfer you with a level of care that can only be achieved through years of experience. We guarantee you a safe, comfortable and always consistent transfer. Our drivers have an extensive experience in private taxi transfer. Our drivers know the best routes to get you to your destination on time. We work as a single united team with market leading firms and give our clients the highest quality from/to airports and ports in Crete.